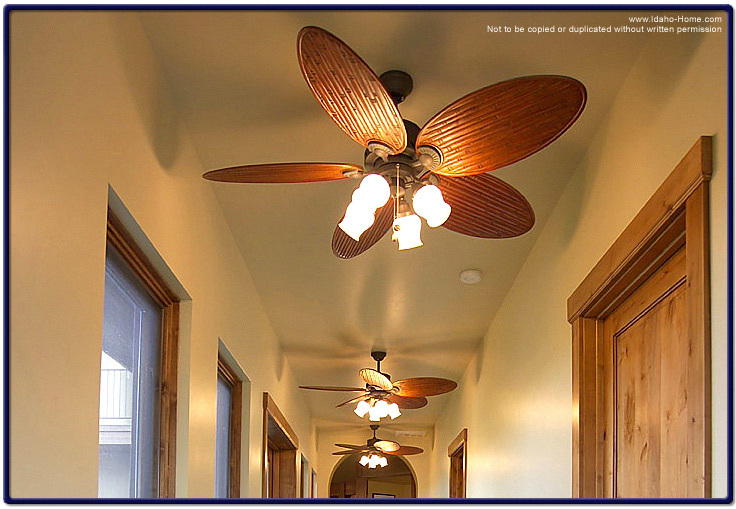 Picture of Large Ceiling Fan - "The Casablanca Look"
This picture has three large five blade fans. They are placed along along a hallway of a luxury home. Connected to the fans are four lights, as well as an on-and-off pull down switch. Perfect decor for the living room, dining room and master bedroom, these fans can enhance any room in the house giving that particular room the "Casablanca look".